BLB Solicitors have successfully settled a medical negligence compensation claim for £75,000 on behalf of a lady who developed life-threatening sepsis whilst in hospital recovering from a urinary tract infection. For further information on sepsis compensation claims generally, click here. Sepsis is a time-critical, life-threatening condition, where the body is fighting a severe infection that has spread via the bloodstream. Sepsis is sometimes referred to as ‘blood poisoning’. 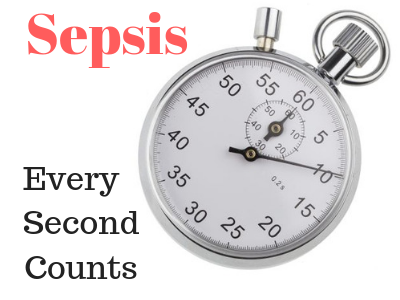 People with sepsis will very likely have low blood pressure resulting in poor circulation and a lack of blood perfusion to vital tissues and organs. When this happens, the patient has developed ‘septic shock’ which can lead to multi-organ failure and death. Sepsis is a huge problem, with in excess of 150,000 cases reported in the UK each year, of which over 40,000 result in fatality. It can be caused by a large number of common bugs, many of which are usually harmless. Sometimes, however, the body responds abnormally to a bug and this can result in sepsis. In light of these terrifying figures, the National Institute for Health and Care Excellence (NICE) stresses that clinicians should consider the possibility of sepsis in every patient who may have an infection. NICE have issued very clear, detailed guidelines for medical practitioners, entitled “Sepsis: recognition, diagnosis and early management”. The heart of the problem is that basic awareness of the signs and symptoms of sepsis among healthcare professionals is sorely lacking and many NHS trusts have created specialist sepsis teams to begin to address this problem. This was also a clear breach of the Nursing and Midwifery Council (NMC) Guidelines 2005 and experts instructed by David were extremely critical of the extent and quality of the record keeping and the poor standard of monitoring. These failures led to a significant delay in the diagnosis of sepsis. Ultimately, it was in fact a student nurse who first raised the question sepsis and our client was thereafter swiftly admitted to intensive care. As a result of prompt and appropriate action from that point onward, our client did eventually recover but it was a lengthy and difficult recovery, which caused both our client and her family considerable distress and anxiety. What is certain is that if there had been any further delay in her admission to intensive care, she would not have survived. That student nurse saved her life.